American Islamic College is proud to introduce Aadil Abedi’s extraordinary art for the first time to Chicago audiences. Inspired by Arabic calligraphy and abstract designs, Aadil’s art fuses East and West, ancient and contemporary, vibrant and elegant, to produce paintings that are truly unique. The collection he will exhibit, titled “Hope”, uses bold strokes, a circular theme, and inspiring Quranic verses around the themes of mercy, compassion and remembrance. 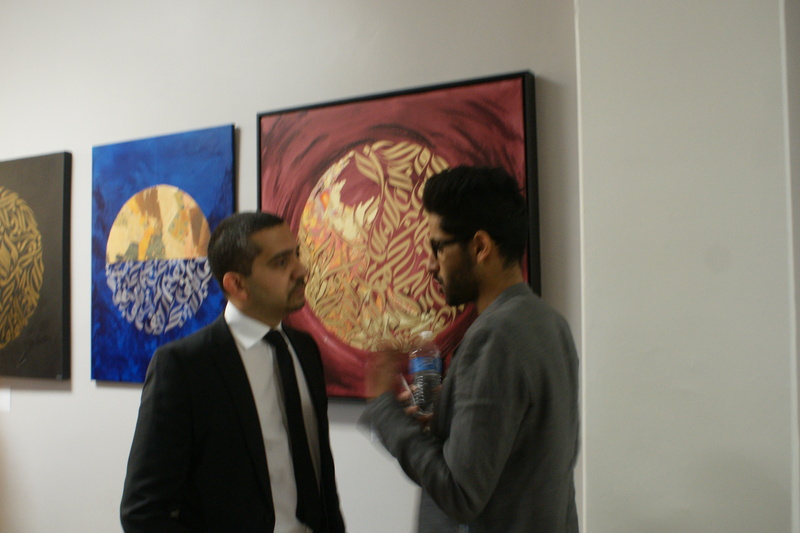 “The circular theme reminds me of God’s embrace,” Aadil says. “The colors, the lights, the darks show different layers of struggle we all go through; at the end of the day, He is the only one who will be there for us.” For the first time ever, Aadil will exhibit his newest work – paintings of ancient doors as a backdrop for poetic couplets. He will also auction off one of his most coveted pieces. Aadil has been commissioned by well-known personalities such as Bollywood royalty Aishwarya Rai Bachchan, and Jemima Goldsmith to design customized pieces for their homes. His work has been showcased in Dubai, London, New York, Sydney, and Mumbai, and has been shown alongside great legends M.F. Husain, F.N. Souza and Ismail Gulgee. Publications such as Emel, You & I, WKND (Khaleej Times), Al-Arabiya News, and Arabian Homes have covered Aadil’s journey from his studio in London to international acclaim. Aadil will have ONLY 10 pieces for sale at this exclusive event! Yvonne Maffei has grown up with a real passion for cooking and writing, setting out to make a career out of combining the two. Yvonne publishes MyHalalKitchen.com, gives cooking classes, lectures about halal cooking and healthy eating, and consults schools on how to source healthy, halal ingredients and prepare fresh new ideas for school lunches. She has written two cookbooks: Summer Ramadan and My Halal Kitchen: Global Recipes, Cooking Tips, Lifestyle Inspiration.